Postman has announced the latest release of its API development environment. Postman 6.0 aims to enhance organization and team collaboration with the newly introduced resource Workspaces. Workspaces can be defined as Personal or Team. Personal Workspaces are used by individuals, while Team Workspaces are used by teams. According to the company, by gathering the appropriate team members and API resources within a targeted workspace, it allows developers to organize their API work better. 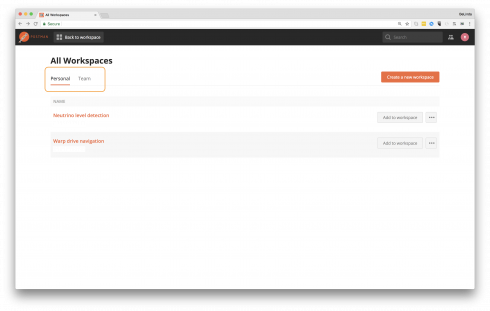 Teams Workspaces is designed to replace the company’s Team Library for Postman Pro and Enterprise users. The new solution will enable teams to share Postman elements, view team activity and set access permissions. In addition, users without a Postman account can get access to a default Workspace, or create a free account to access an unlimited number of personal Workspaces.